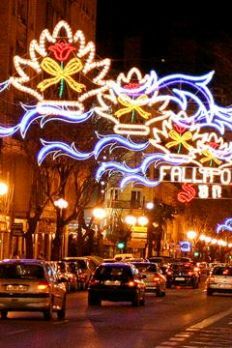 Spain and especially Valencia is filled with tradition, and Las Fallas is the most popular and outstanding tradition in this marvellous city. It is a festival where everyone can participate whether you are from the local land, a foreigner who has chosen to spend some time there or an intentional tourist who has planned to visit the city on purpose to find out what emotions can be lived. Satire and gaiety are two very important concepts that you must keep in mind along with good food and entertainment on practically every corner. It is always held from March 15th to the 19th, Saint Joseph's Day, when the great bonfire or Fallas are burnt. Let's find what its all about. No one really knows how it all started, but it seems to have began with a pagan festival having to do with Saturn, something very much celebrated in the old Roman Times. All activities were put aside except cooking, in those times done over wooden fires where a lot of kindling wood was not only used for light and cooking but also to alert the towns people and those travelling by sea. Saturn is also linked to Satan and there is no doubt that all this can be tied together with fire and the pagan tradition of burning things to get rid of bad spirits. But a more recent explanation will take you back to 16th century when the carpenters guild used tall sticks with various arms and rags soaked in tar as if they were candelabros for lighting in the streets in winter. But when spring time came around, they did their spring cleaning and made heaps of wood and all the material that they no longer needed in the town square with the candelabros in the middle. Soon, many people would take advantage of this massive clean-out and threw old clothing and other household objects. With the imagination of a few townsfolk and being as the candelabros could be dressed with the old clothing, they started to make real like figures, some of which looked quite like some of the people from the village. And being as the people needed this time to organize their homes and some time to enjoy themselves and the spring season, they made it an annual event and from there - a tradition. They other surrounding neighbourhoods started to do the same and now there are over 360 huge Fallas or intricately elaborated carton monuments as if there were comics made real, just in the capital of Valencia. But even though we can still relive traditions from many centuries ago, none can escape progress. So in order to make Valencia Fallas more well known, the printer guild came up with booklets or pamphlets explaining what satire or criticism all the different Fallas wanted to express. Back then, the people did not dare to openly criticize the king or political leader in power so the figurines were mainly about machism and females who were "slaves" in their own homes and to men. But this has completed changed and there is an ample range of freedom in expression and very astutely done. The only problem is that the explicative signs which accompany each fallas or carton monument are in Valencian, the local language. One of the best parts of fully enjoying a popular festival is being able to get there and have a comfortable stay with the minimal amount of problems possible. And thanks to the nearness of the Valencia Airport to the city, the long lists of flights you can catch daily from almost any European city, especially from England, the wide range of prices and availability of hotels and the quickness of having a car hire for your personal use, your trip cannot be anything but a great success. And now with the city's preparation for the 2007 America's Cup, the world's most important sailing competition, the whole port area where many luxury yachts is being transformed, adding to the magic of Valencia Fallas. About the Author - Author of this article is Rob Carlton. For more of his articles visit this website: Valencia Information.